A bid to halt the culling of mountain hares is being made through the Scottish Parliament. So far the motion has the support of 19 MSPs. 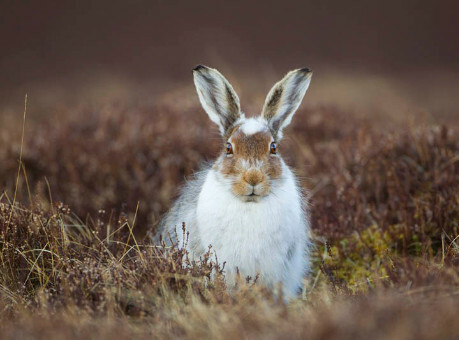 The coalition of environmental and outdoor organisations appealed to the Scottish Government to introduce urgent safeguards for mountain hare populations, asking for a temporary ban on all mountain hare culling on grouse moors until measures are put in place to ensure their numbers can remain at acceptable, sustainable levels. Involved in the plea are: Scottish Wildlife Trust, Scottish Raptor Study Group, Badenoch and Strathspey Conservation Group, Cairngorms Campaign, National Trust for Scotland, Royal Zoological Society of Scotland, Mammal Society, John Muir Trust and Mountaineering Scotland. In 2014, the coalition warned the Scottish Government that the �voluntary restraint� that was claimed to be in place was unlikely to protect these mammals from wide-scale culls on grouse moors, including in the Cairngorms National Park. Since then, there have been multiple reports of culls being carried out across the country - suggesting that voluntary restraint has been ignored. These culls are believed to be having a serious negative effect on hare populations. In some areas it has been shown that the culls are leading to severe population declines and potentially even local extinctions. Mountaineering Scotland recently reported on the call for a moratorium. Alison Johnstone�s motion can be seen here. And, before the end of November, you can write to your own MSP urging them to give their support. A list of current MSPs. Image courtesy of John Muir Trust. Credit: Mark Hamblin/2020Vision.